Over/Under: Over 145.5 at 1.90 Bet Now! When the two sides met earlier in the Top 16, Panathinaikos ran out winners by 16 points. This week’s game is likely to be a much closer affair and Kaunas will be desperate for the win. This is the sort of game that excites a Euroleague basketball betting fan while perhaps even defining a campaign for one team or the other. This is a match with everything on the line between two teams who need to grab the win. The next game that Kaunas win will be their 100th in the Euroleague, and there would be no better time for a celebration than on Friday night. If Kaunas do achieve this record, they will become the 12th team to reach this accolade. The home side come into this game with an 8-11 record in the Euroleague, and with a 3-6 record in the Top 16 coming on the back of a 5-5 record in the regular season; this is a game that Kaunas need to take care of. They are facing a team with a 10-9 record in the Euroleague this season, with a 5-5 record in the regular season but a more impressive 5-4 in the Top 16. 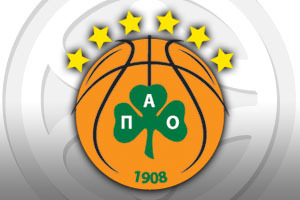 If Panathinaikos retain their advantage over Kaunas, they will be sitting rather pretty for the run in. With respect to average points scored, the Greeks have the edge with a 75.8 record compared to a 70.5 record. James Anderson is likely to be at the heart of everything for Zalgiris and he has scored an average of 14.4 points per season this campaign. He has been ably assisted by Paulius Jankunas, who has provided an average of 6.5 rebounds per game this season and Lukas Lekavicius, who has served up an average of 2.4 assists per game. This could be a higher figure but it is clear that Kaunas is a team where plenty of players pull their weight as opposed to having one or two stars leading the way. For Panathinaikos, AJ Slaughter is likely to be the key player and he has served up an average of 11.4 points per game this season. He has helped by Esteban Batista, who has offered an average of 6.1 rebounds per game and Dimitris Diamantidis, with an average of 6 assists per game, will also be in the mix for Panathinaikos in this game. Zalgiris are in second place in their domestic league, sitting with a 24-4 record as Neptunas have just nipped in ahead of them. Their most recent domestic league game was a 93-66 loss away to Lietuvos Rytas. This loss moves their opponents right on to their tail with a 23-4 record in their domestic games. In Greece, Panathiniakos are also in second place with a 17-2 record, one place behind Olympiacos who hold an 18-1 record. The Greens most recent domestic game was an 83-69 win against PAOK. While it is crucial for Zalgiris to grab the win, Pantahinaikos know they will do themselves a power of good with an away win and taking them with a -4.5 handicap, at odds of 1.90, is likely to be sound bet. 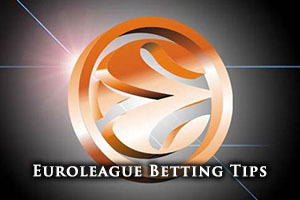 For the over/Under market, going OVER 145.5, at odds of 1.90, is likely to be sensible and these bets can be found at Bet365, one of the leading online betting sites for Euroleague basketball betting. Bet Now!